Starlink: Battle for Atlas has recently been launched this past week by Ubisoft and the game brings something new to consoles. Instead of simply controlling and editing a space craft that players do battle with throughout the galaxy, Starlink allows a custom model of that ship to be physically altered while connected to the console controller. 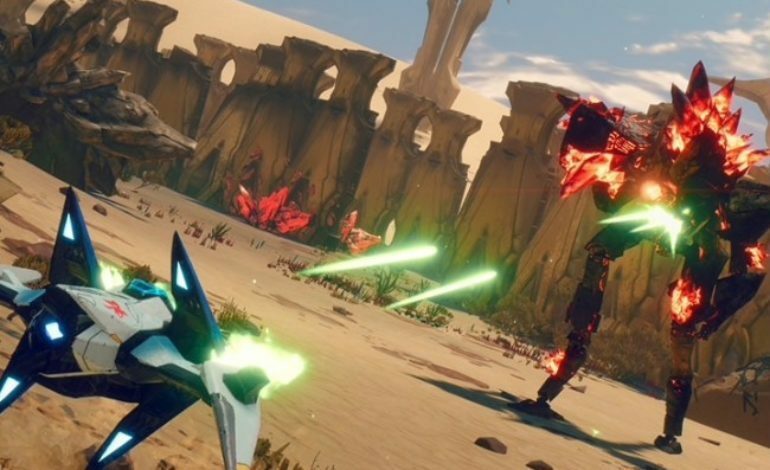 Starlink: Battle for Atlas brings the audience into the galaxy as a member of the Equinox who must stop the villain, Grax, and his Forgotten Legion. The galaxy includes seven alien planets and ships can seamlessly travel from planet to space. Players choose between ten different pilots that each have specific abilities and are uniquely themed from a hunter to a robot to an alien. Also, the one and only Fox McCloud makes a guest pilot appearance for Nintendo Switch players. This is the second Ubisoft title to feature a crossover with a Nintendo IP. The success of the Mario + Rabbids: Kingdom Battle may have aided Fox McCloud’s entrance into Starlink. Though it’s not surprising that Ubisoft and Nintendo keep partnering up for these crossover features. It was reported that 82% of Starlink‘s initial sales in the United Kingdom were for the Nintendo Switch, while 10% were for the PlayStation 4 and 9% for the Xbox One. Starlink is sold in three different editions: the Starter Pack, Digital Edition, and Deluxe Edition. Players can also purchase desired weapons, pilots, or ships separately after initially buying the game. Priced at $74.99 USD, the Starter pack includes the game, two starships, two pilots, three weapons, and other accessories. However, players are incentivized to purchase the Deluxe Edition for five more dollars, which includes every pilot, ship, and weapon option currently available. The included mount connects directly to console controllers and creatively introduces a diverse customization mode for players to get their hands on. Several issues for prospective pilots have arisen since the release of Starlink, which is heavily dependent on physical objects. An alarming number of pre-orders that were purchased by Best Buy customers were shipped without the game inside. Some of the boxes had been sliced open and certain object were removed along with the game. Ubisoft has become aware of the problem and voiced their determination in a statement to Polygon to solve the problem and provide assistance to those affected. Starlink: Battle for Atlas is available now for the Xbox One, PlayStation 4, and Nintendo Switch.